Romania might not be on the top of your list of countries to visit in Europe, but you just might be surprised to know that there are a lot of interesting things to do and places to visit there. Romania is a country in eastern Europe and offers a rich cultural and natural experience. For the history lover, Romania is steeped in history. Visit the most important street of Bucharest (the country’s capital) which is Calea Victoriei, or Victory Road. In this road you will find The Vernescu House and Boulevards Gh. Magheru, Carol I, Calea Mosilor, Calea Dorobantilor and Soseaua Kiseleff. The Romanian cities and countryside are also dotted with old churches and picturesque villages. Visit villages such as Budesti, Sirbi and Calinesti, and take a step back in time. Nature lovers will also appreciate Romania, with its wonderful thermal springs. These springs are purported to have various curative and restorative powers, making Romania a perfect getaway to relieve all the stresses of daily living. Some of the most popular thermal springs are Lake Techirghiol and the Romanian Riviera. If you prefer to go hiking and trekking, then the hills and mountains of Romania will not fail to disappoint either. The Carpathian Mountains are world renowned and you can even go horse back riding there. More so, you can experience excellent skiing at resorts such as Poiana Brasov and Predeal. More than skiing, however, Romania also offers some awesome mountain lake resorts in the mountain ranges of Fagaras and Retezat. Indeed, Romania is one of those hidden gems that you just have to discover for yourself. One thing is for sure, you will never find a lack of things to do and places to see! Be very careful when you visit Romania. There are a lot of criminals and dangerous people. What about the huge rise of criminality in the UK? What about the concerns on the british neo-fascist party (most commonly known under the accronyme of BNP)? Romania is great, very nice scenery and history rich places. It’s just that there’s a lot of poor people and almost everybody is thinking about the money. Regarding the “criminals and dangerous people” – not any different than any other (not very rich) country. But there’s no problem if you don’t go looking for it. Criminality in Romania is not higher than in other EU country. You can get into trouble only if you search for them. 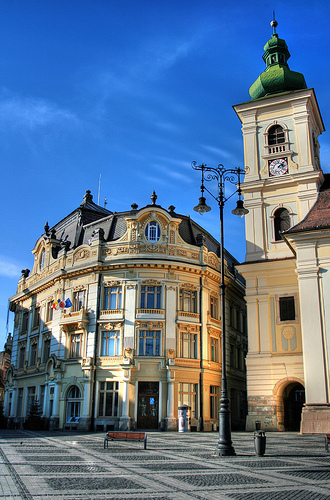 I recommend you cities of Brasov, Sibiu and the center of the capital Bucharest. You can meet really good people and see nice places and churches in Bucovina (north of Romania), see how pottery is made in Horezu area (Valcea county) or make nice trips in the Charpatians.